Chasing Deer may well be the UK’s biggest unsigned band, playing to audiences larger than those of Adele and Arctic Monkeys combined. Through virtue of their celebrated street performances around the country, garnering thousands of fans from as far afield as Kenya! 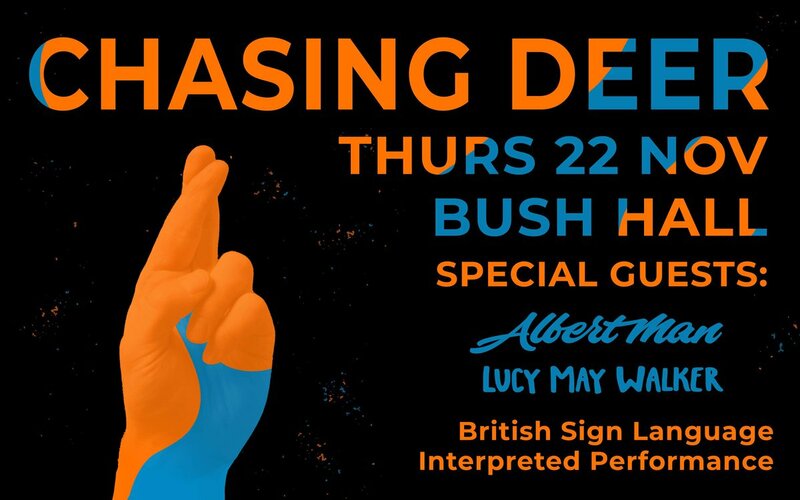 Enthralling their hugely varied audiences with their upbeat pop melodies, Chasing Deer are finally launching their debut album, “Hands On” on 22nd November with a unique launch show at London’s Bush Hall. The album will go on general release on 30th November. In common with their single releases over the last year, the show will champion sign-language awareness and will be supported by the British Deaf Association. Creating a real buzz with their catchy and upbeat pop songs which have been released on the last Friday of every month, the band – Rob; Adam and Peter – have performed tirelessly across the UK, Europe and even Africa over the last three years showcasing their first two EPs “Rewriting History” and “Moving On” in over 900 performances, including supporting festival slots for UB40, The Pigeon Detectives and Feeder. Their music is a regular feature on BBC Introducing and has been played internationally on the BBC World Service.